The Doctor’s Goodwill Foundation (DGF), was established in 2003 as a result of the efforts and vision of a group of physicians at Parrish Medical Center. These dedicated doctors and medical technicians made frequent donations of their services to medical missions across the globe. Those who established DGF recognized the need to provide compassionate medical assistance for those with dire needs worldwide. 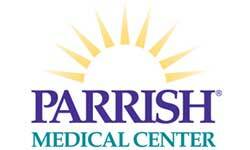 Through the support and expertise of Parrish Medical Center; its medical and professional staff, the vision was formed. Join us on April 26, 2019 for the Living Strong Health Expo. Visit exhibits, attend the Lunch and Learn Lectures and enjoy FREE lunch.